As I said last month, it would be continue to be a tremendous season as long as it stayed dry. It didn’t. We had about a week of heavy rains resulting in tannin-stained water from the creeks and rivers that flushed onto the flats. 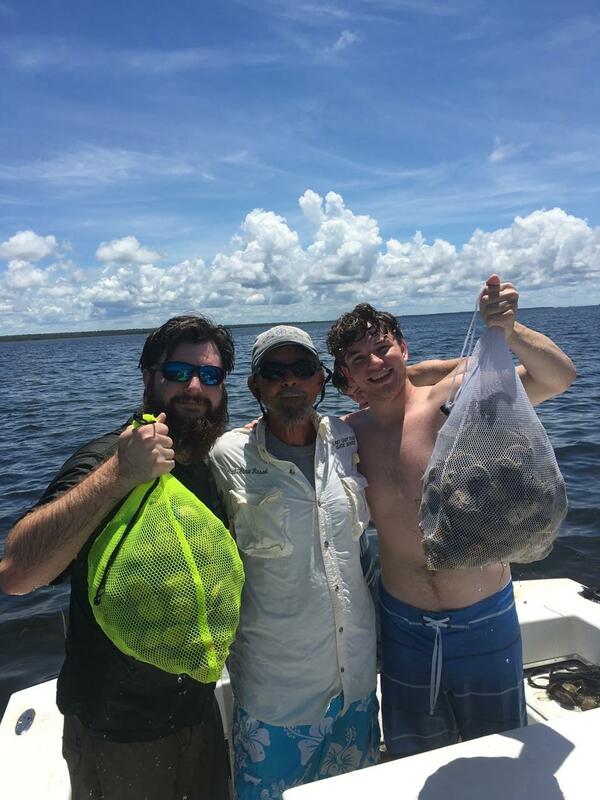 The drop in salinity as well as visibility made scalloping more challenging as people moved further away from the river to find clearer water. Even areas as far south as Bull Cove were heavily stained, so most trips were toward Keaton Beach, well north of Hagen’s Cove, where areas were less stained. We have a major rain system/tropical storm threatening this weekend, but hopefully it will keep to the south. Right now things look dicey at best. The fishing has also been challenging. 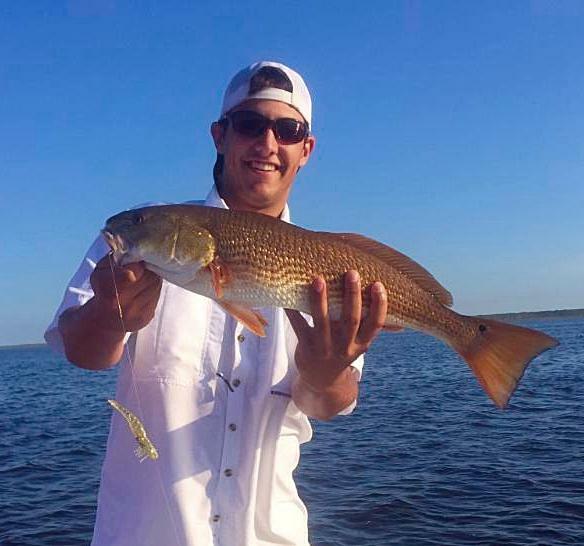 Guides have found keeper trout but it requires a great deal of culling, with many short fish taken in the areas around nearshore bars like 9 Mile Bank. 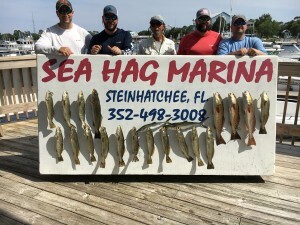 I have had one report of someone catching a limit of 18 to 19 inch fish using cut pinfish fillets in 8 to 10 feet of water over spotty bottom. Capt. Tommy Thompson and I went out to take a look and try some fishing in the middle of the month and found the water to be stained but not cloudy in the Rocky Creek area. 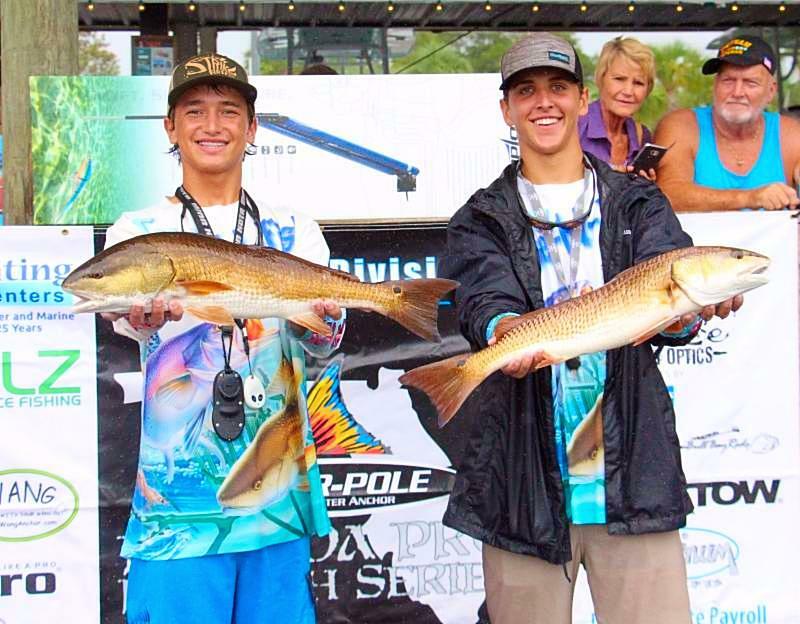 We found some slot-sized redfish and trout fishing shorelines on flood times with artificial lures. Larger fish have been a challenge to find, although the redfish specialists did very well during the Tour event earlier in the month. Here are some pix from August. 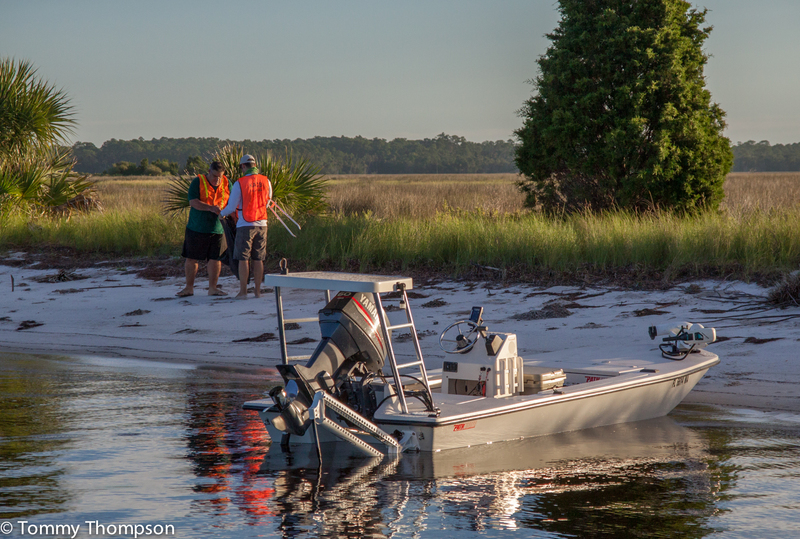 Tommy Thompson and I found some redfish and trout in shallow water on a flood tide north of Rocky Creek. 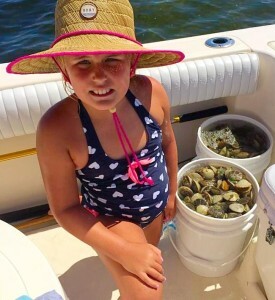 Mallory Bock from Palatka enjoyed her day of scalloping with a boat limit to show for it. 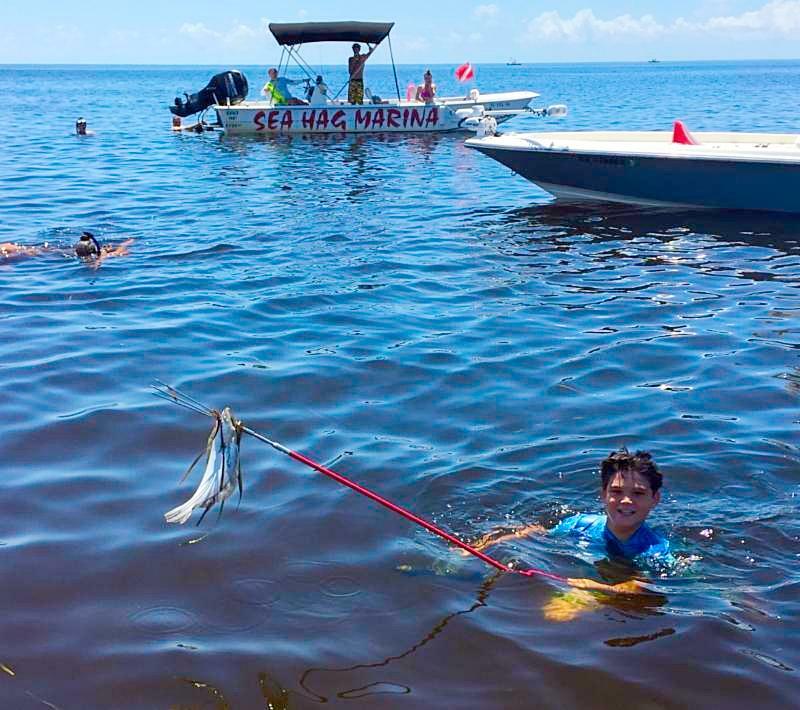 This time of year spearfishing is a great way to catch the big ones. Brandon Forshee with his monster hog snapper. 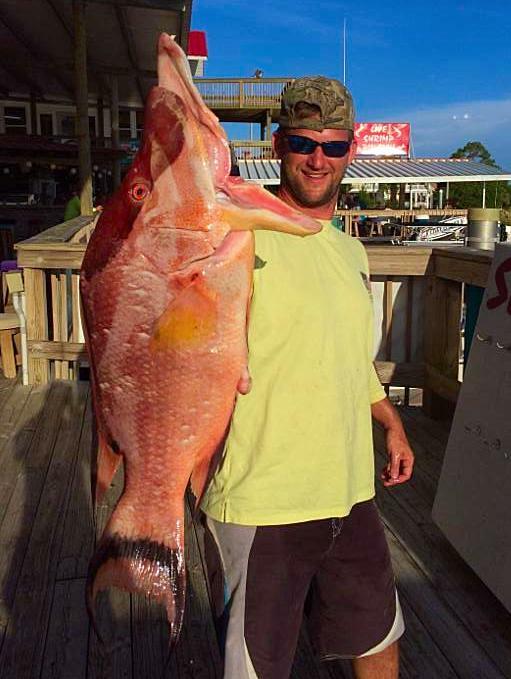 J.P.Harper used a gig while scalloping to bring back this keeper flounder for the table. Charlie Walters found these nice gator trout. 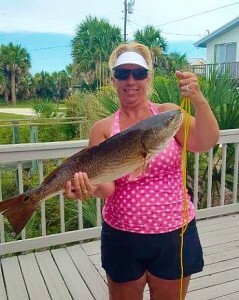 Laura Porter ran up to Keaton to find this redfish. Eliza Deanne had no problem finding scallops. 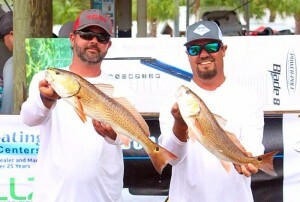 Captains Scott Peters and Shane Morris fished the Redfish Tour Event. Warner and Lane with their scallop dinners. 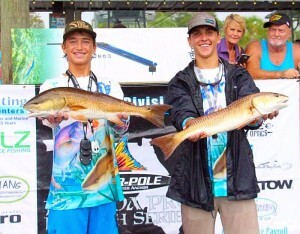 Chase Norwood and Luke Matthews also did well during the Redfish Tour event. Gus Hornsby nailed this nice redfish on a DOA shrimp. 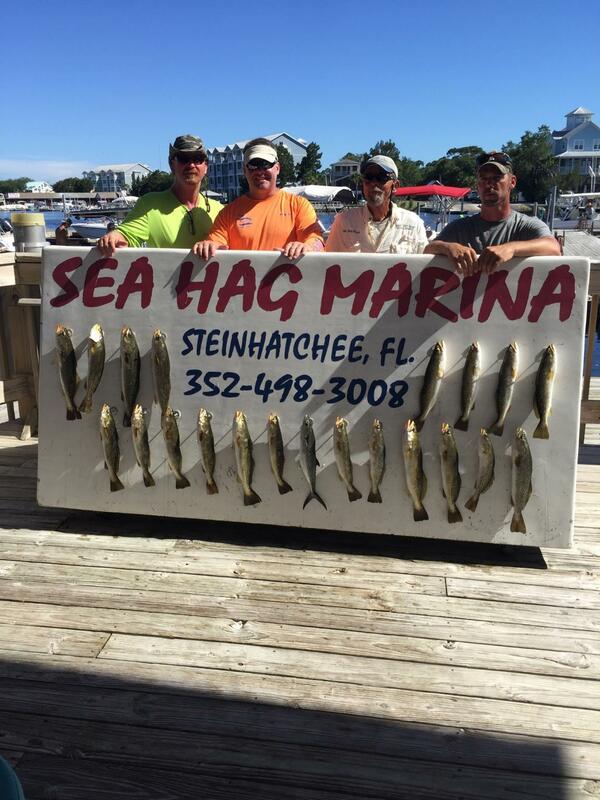 The CCA Trash Tournament at Steinhatchee, hosted by the Sea Hag Marina, on August 27 was a great success….and over 1800 pounds of trash was collected! ….with a boatload of trash! 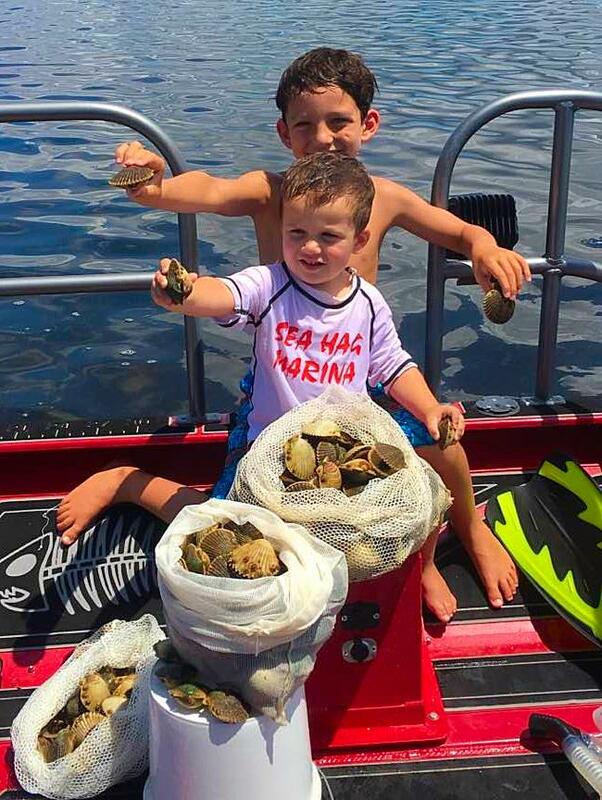 Mason and Thomas Galloway hit the beach at Lazy Island for their trash hunt. The scallop season runs until September 25th, but the weather this final weekend in August may determine how it goes, since a tropical depression is headed our way. If we can stay dry, the water will continue to clear and we can resume the effort. 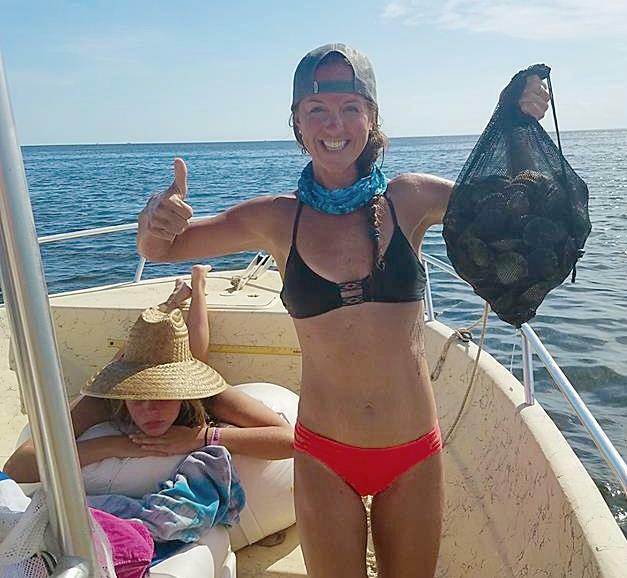 This time of year the scallop meats are larger, but they are harder to find, and with the influx of fresh water, may move out to 5 feet or more. In addition to dry, we’re hoping for cooler weather as well. 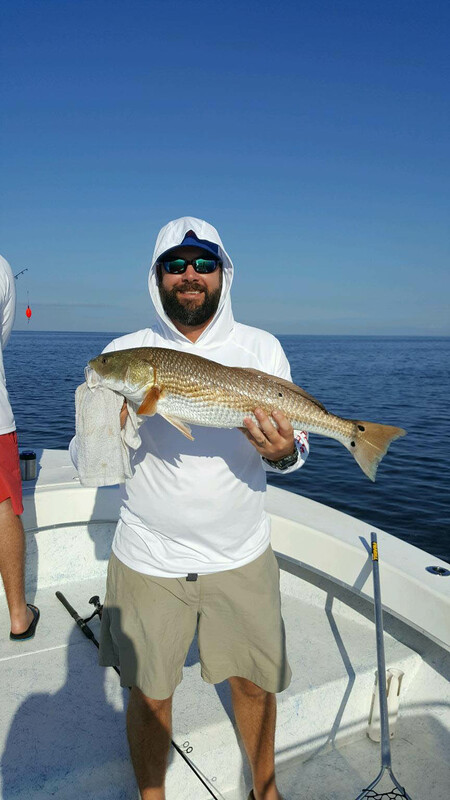 We have seen schools of redfish just not interested in eating because of high water temps in the shallows. 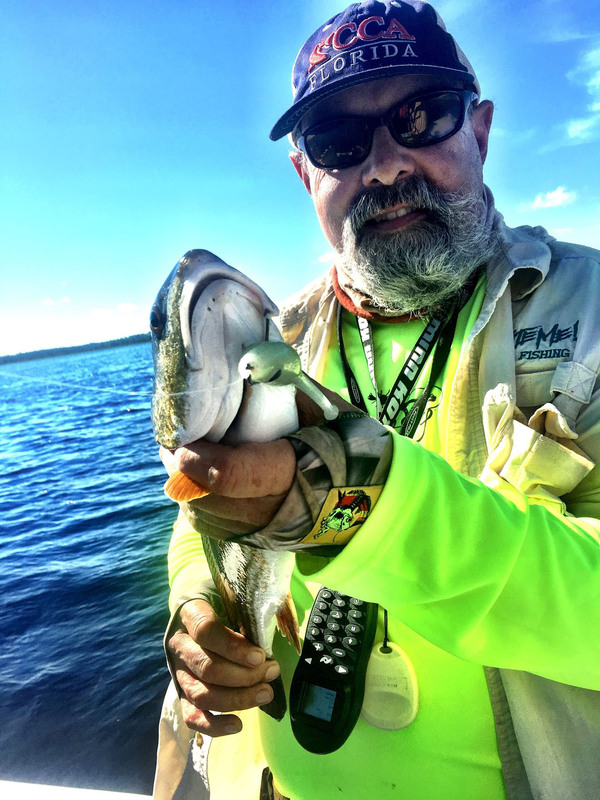 That will improve and we’ll be heading into some of the best fishing of the year as we get near the end of September. Look for increasing schools of redfish just offshore of shorelines between Rocky Creek and Bull Cove to the south, and from Dallus Creek all the way to Big Grass Island to the north. 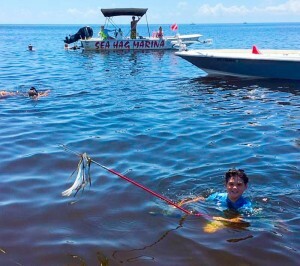 If grass is not an issue, fish noisemaking plugs, either topwaters or suspending plugs, or if you’re patient, anchor up near oyster bars or rocky areas and fish cut bait. 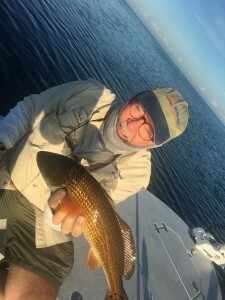 The redfish bite will be getting better and better throughout this month. 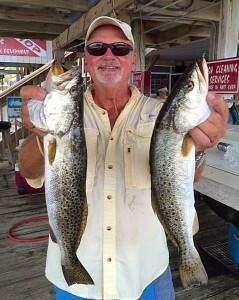 Trout have been a mystery the past two years, but we expect that with an influx of more whitebait and mullet schools in the fall, larger trout will move in closer to shore. Jigs and Gulp baits fished under popping corks over mixed bottom in 3 to 5 feet of water should be productive. Offshore, the amberjack season is over until the end of the year but gag and red grouper are still in season and we expect the pelagics (cobia, kingfish and Spanish mackerel) will be moving back south through our area as the fall season progresses. 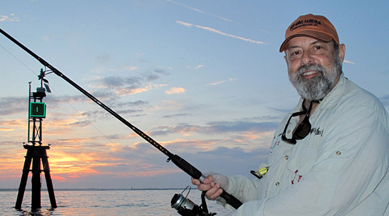 Look for schools of whitebait, both offshore and inshore, and you may find some nice bluefish mixed in with the Spanish. 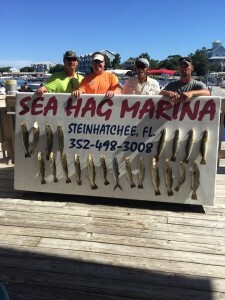 And keep track of the fishing and scalloping by calling the Sea Hag Ship’s Store.